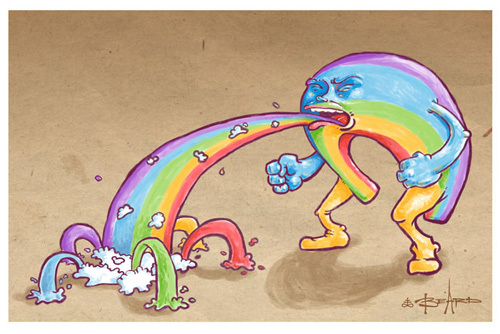 Rainbow Puke by Andy H.
Rainbow Puke by Mindy H.
Welcome to the new and improved RainbowPuke.com! 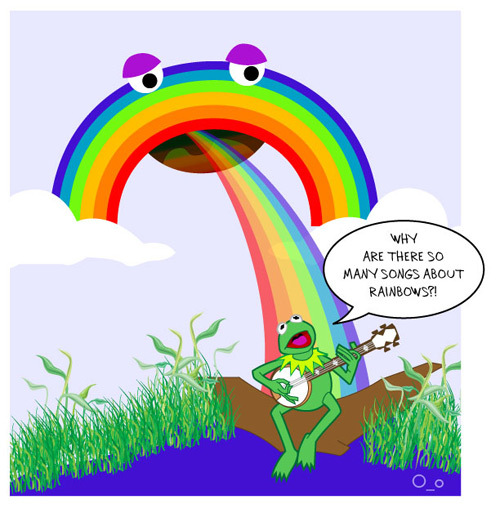 After repeated requests, RainbowPuke.com has finally been completely redone so that I can update it frequently. In the past, it was made of static HTML pages and I had to wait until I had a large collection of new images before updating the site. 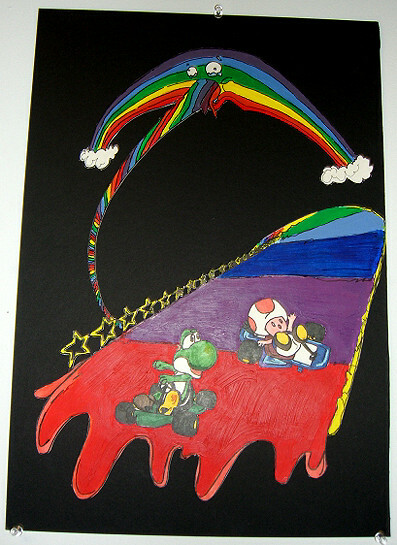 With the new site design, however, I can now post your pieces of Rainbow Puke art on a far more regular basis! On top of that, now all of you can share your comments right here on the site. 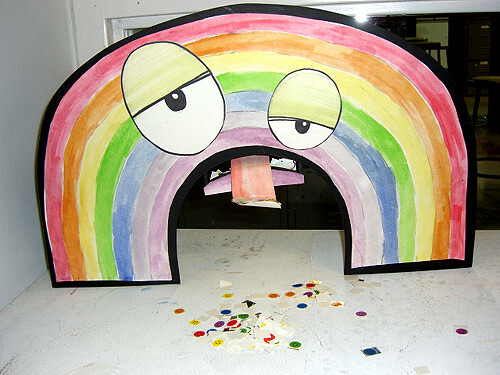 If you like a particular piece of Rainbow Puke art, be sure to drop a comment in the thread! 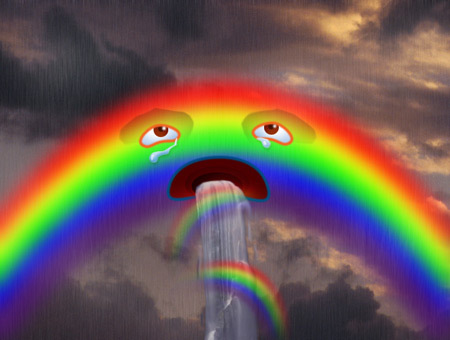 RainbowPuke exists so that fans of puking rainbows have a place to make their collective voices heard. In this celebration of the greatest dichotomy, you don’t have to be an artist to join in the wave of multi-colored vomit that’s sweeping the world. 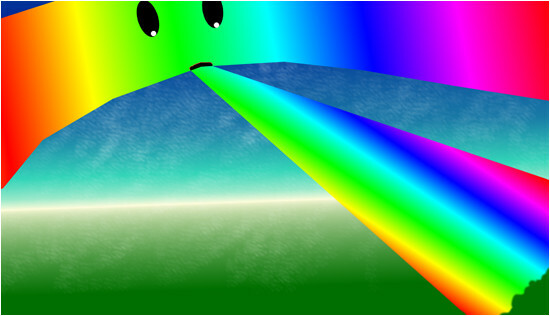 Simply email us at webmaster@i-mockery.com your best attempt at a drawing of a rainbow puking up a rainbow of colors and we’ll post it here on RainbowPuke.com for everybody to see. 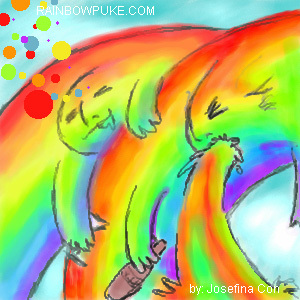 Want to see your RainbowPuke drawing here on RainbowPuke.com? 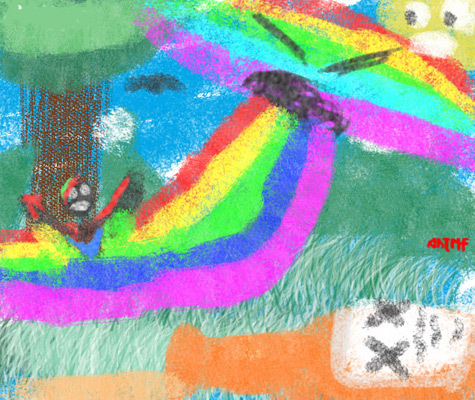 Before I reworked this site so it could be updated more frequently, there were already plenty o’ Rainbow Puke drawings up on display. 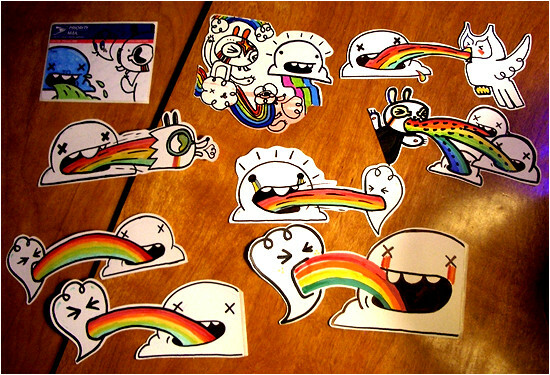 Here is the seventh and final page of the original Rainbow Pukes. NOTE: The images in this post were donated to RainbowPuke.com from Josh Bishop’s art foundation class at Virginia Commonwealth University. 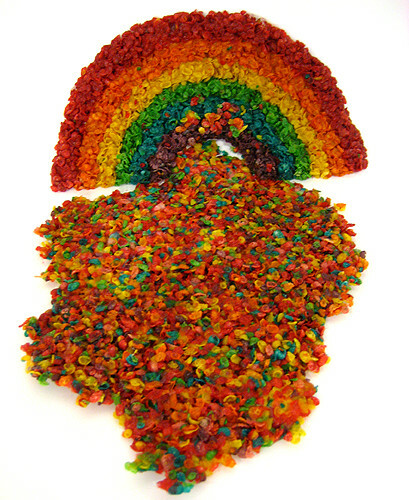 Each of his students were asked to create their own Rainbow Puke interpretation and the following images are the results of that project. 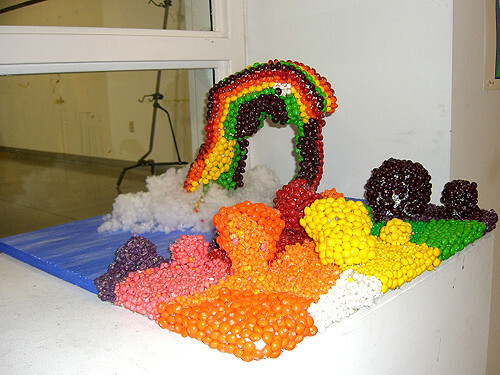 While not every student understood that they were supposed to create “rainbows puking up rainbows”, all of their pieces have been included.